Not only is there a shortage of thrushes this winter but wading birds have also been in short supply. 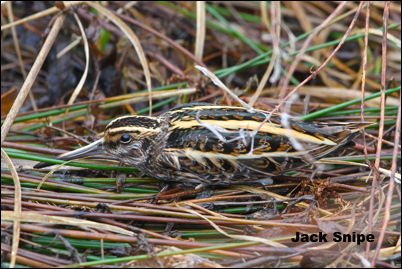 Only this week have i seen my first Jack Snipe and so far I have only flushed two Woodcock. Had it not been for the migrant Long Eared Owls and day hunting Barn Owls there would have been no photographic challenges available and both of these are still work in progress! Locally on the 19th there were eight Goosanders on a pond by the Rochdale to Manchester railway. On Hopwood a Goldcrest was seen and a Coltsfoot was in flower. Snowdrops were out in our garden on the 22nd January.